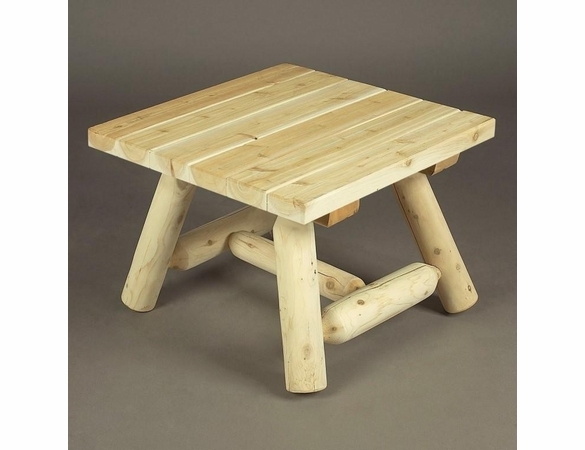 Add a rustic accent to practically any area outside or indoors with the Cedar Wood Log-Style 24-Inch Square Coffee Table from Cedarwood Furniture. Outdoors or inside, this 17-inch tall table will provide years of service, thanks to its sturdy construction of rust-resistant hardware and weather- and insect-resistant Northern white cedar. Besides its attractive, natural look, this cedar coffee table offers a practical place for holding books, phones, drinks or other small items. It’s a great match for our other cedar log furniture, like our Cedar Log-Style High-Back Lounge Armchair.